Chilliwack – In appreciation of Glen Ringdal’s many years of service to the Chilliwack Chiefs, the hockey club will dedicate their final regular season home game, Sunday, February 17, to celebrating his legacy. 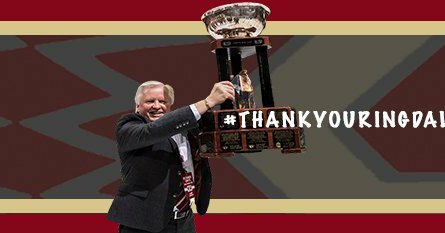 In appreciation of @gringdal’s many years of service to the Chilliwack Chiefs, the hockey club will dedicate their final regular season home game, Sunday, February 17, to celebrating his legacy. Be the first to comment on "Chiefs – #ThankYouRingdal – Sunday February 17"